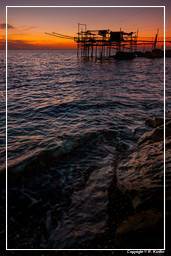 San Vito Chietino is a village in the Abruzzo. 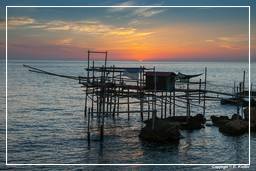 The town is home to the “La Costa dei Trabocchi”. 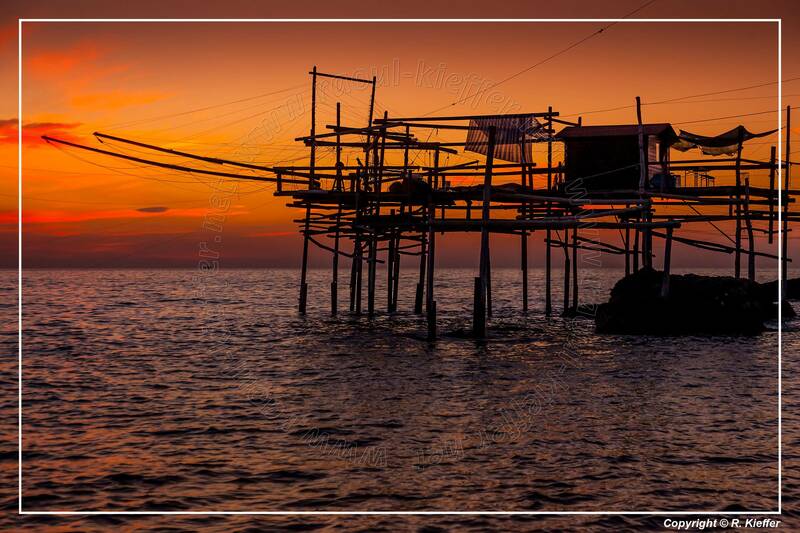 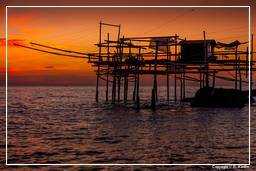 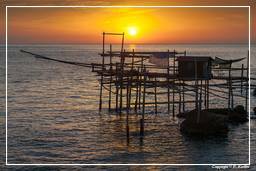 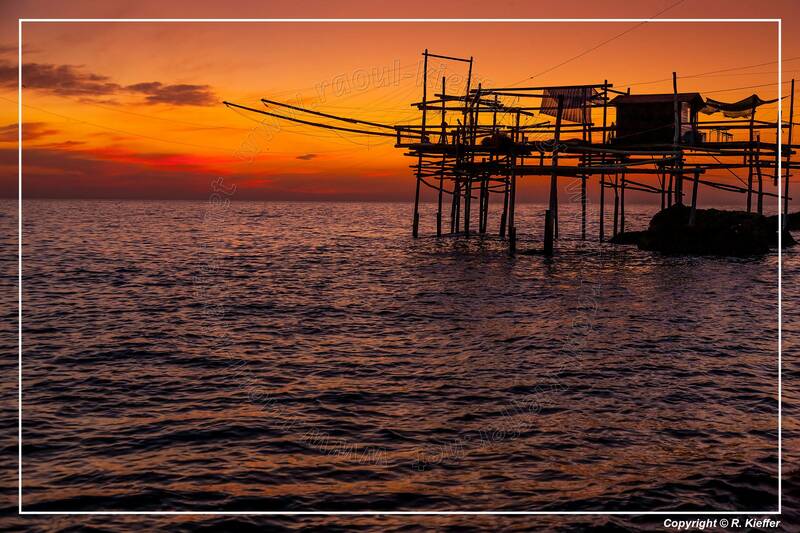 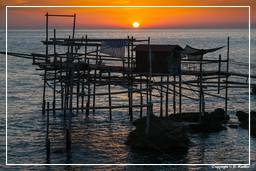 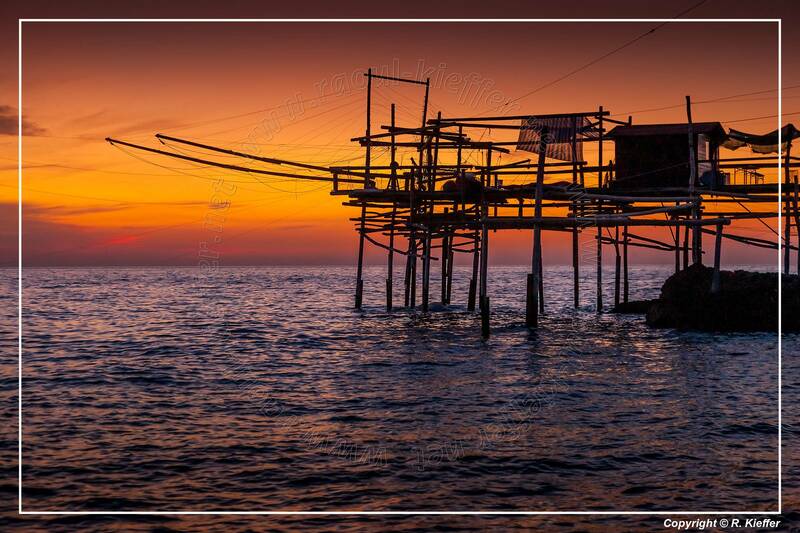 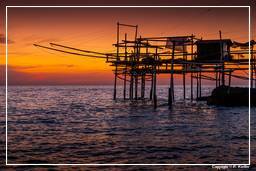 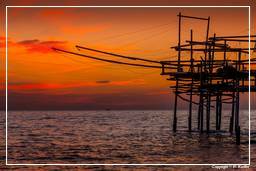 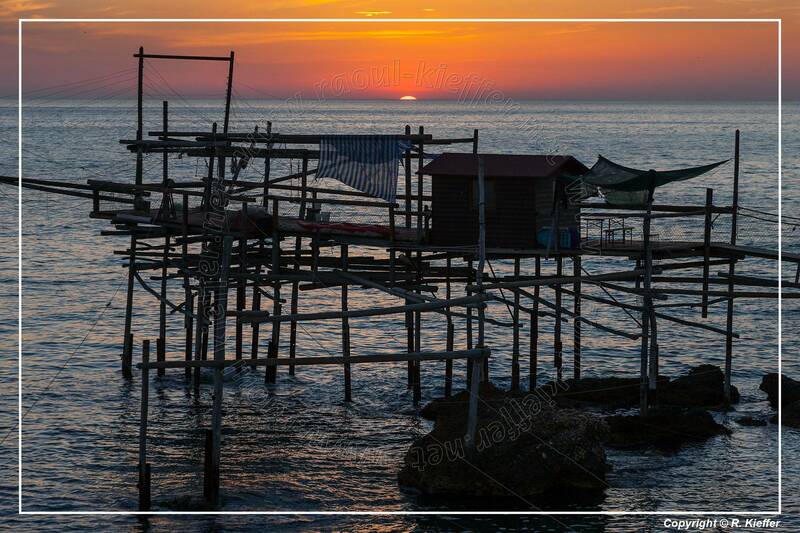 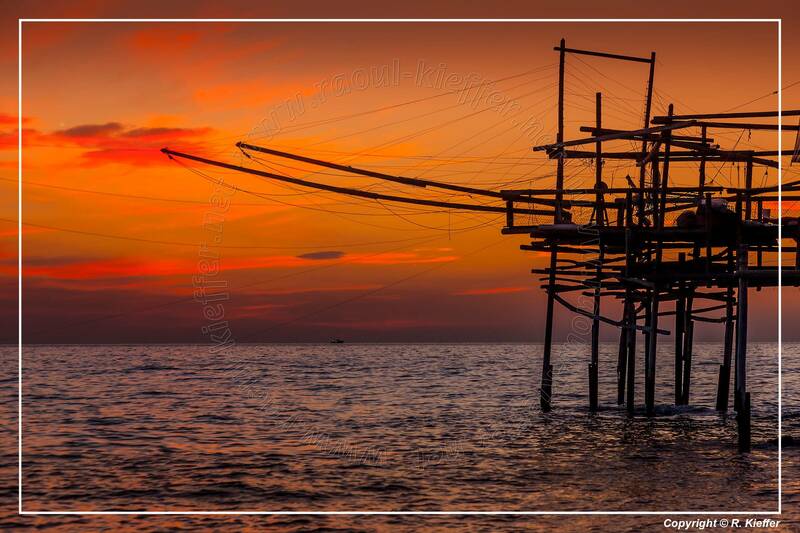 Trabocchi (Trabucchi) are giant wooden platforms built since 1400, in the middle of the sea. 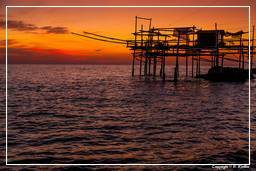 They can be seen from the town of Ortona to Fossacesia. 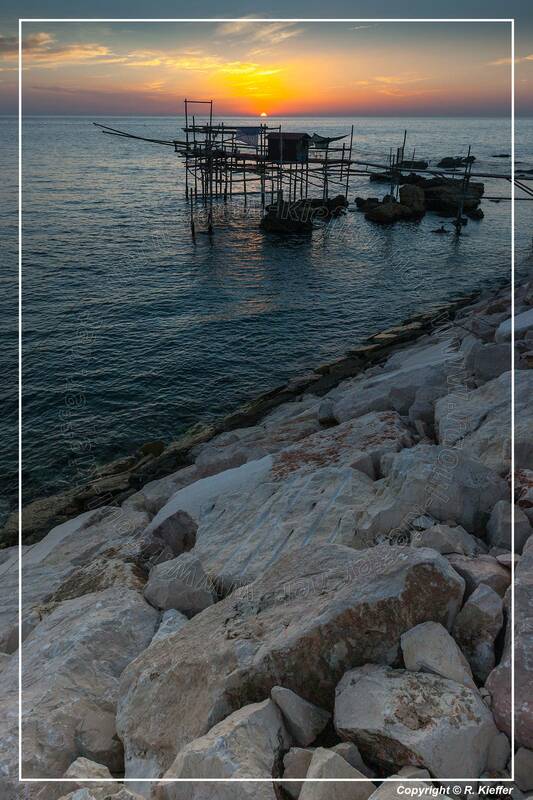 For local fisherman this was one of the methods to fish abundant catch for the residents. 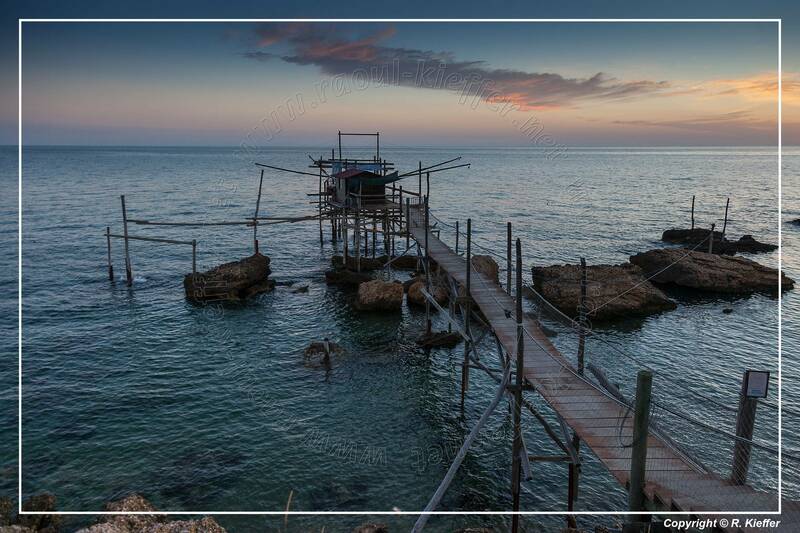 According with some historians of Apulia, the trabocco (trabucco) was invented in the region imported from Phoenicians. 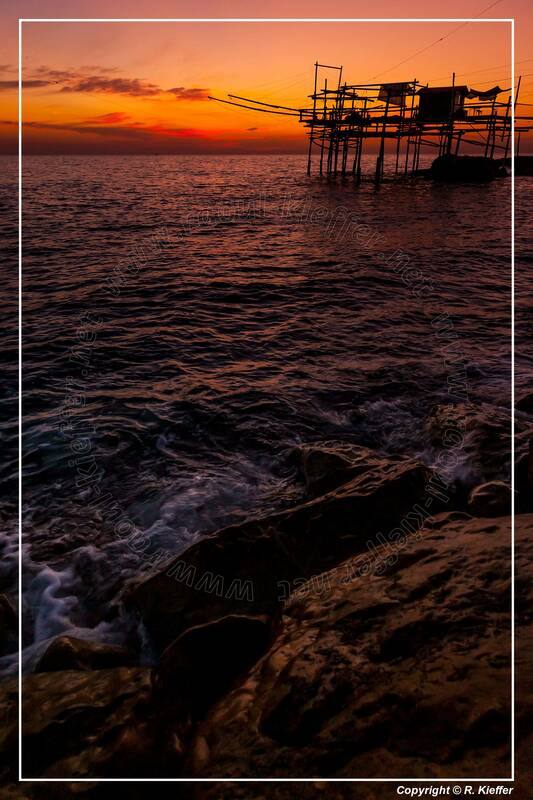 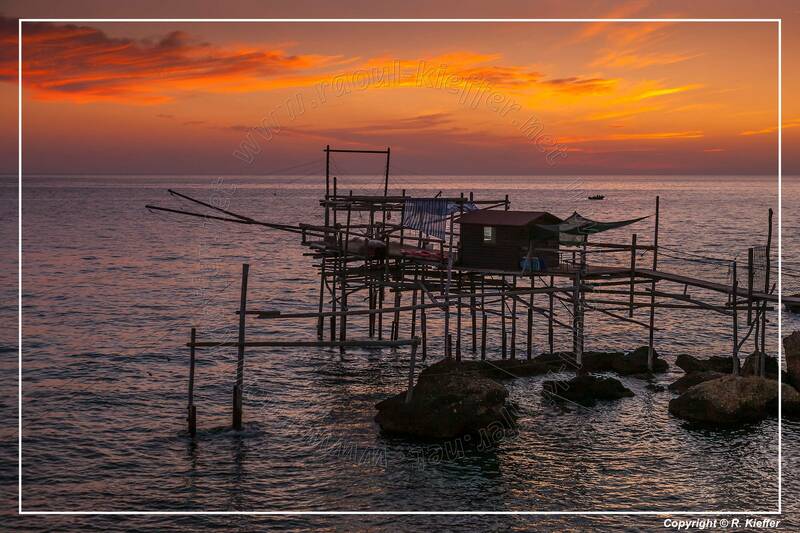 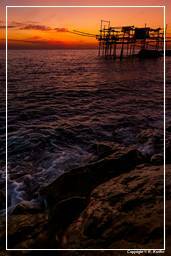 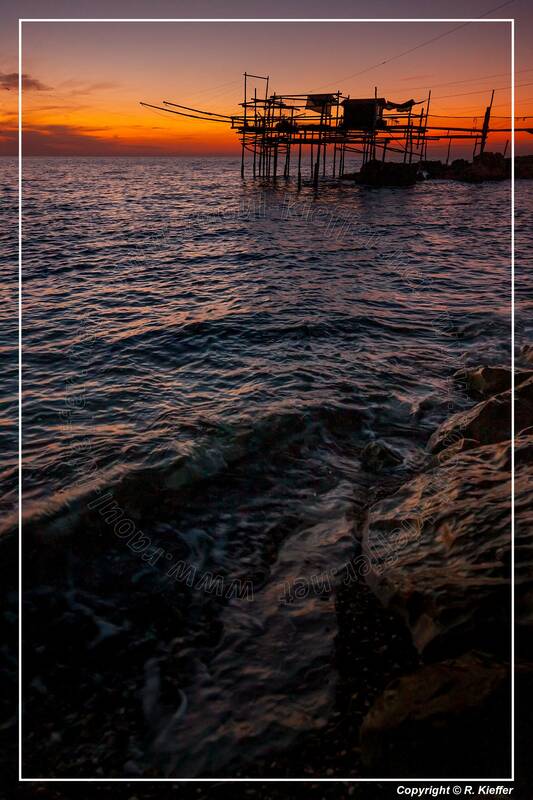 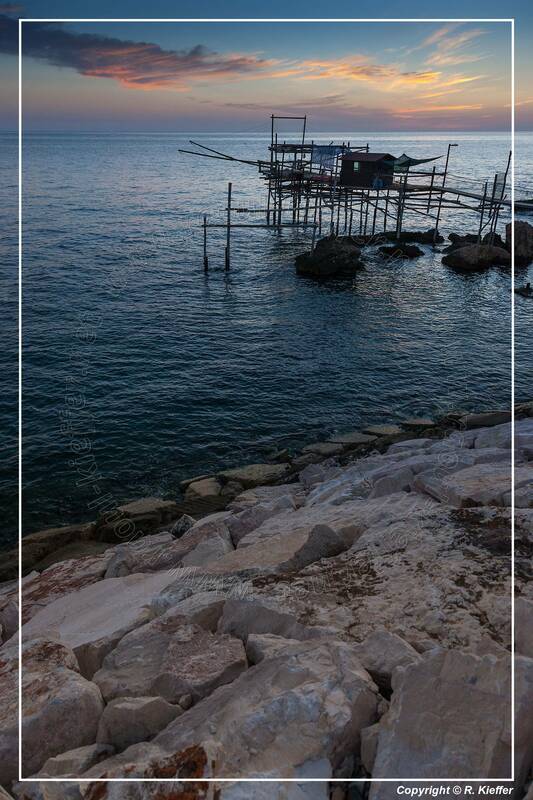 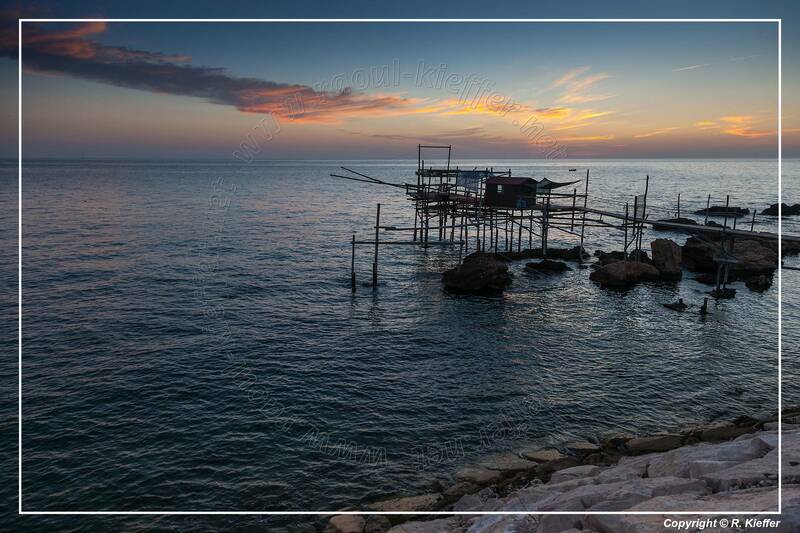 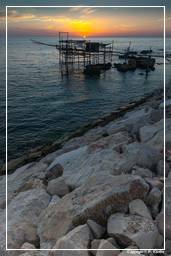 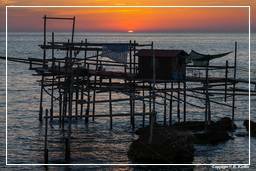 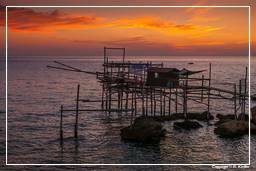 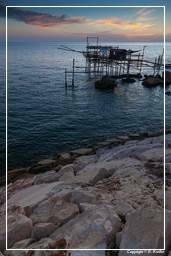 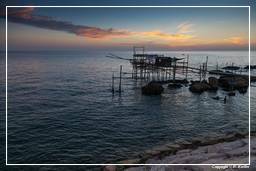 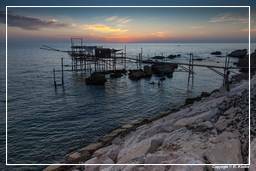 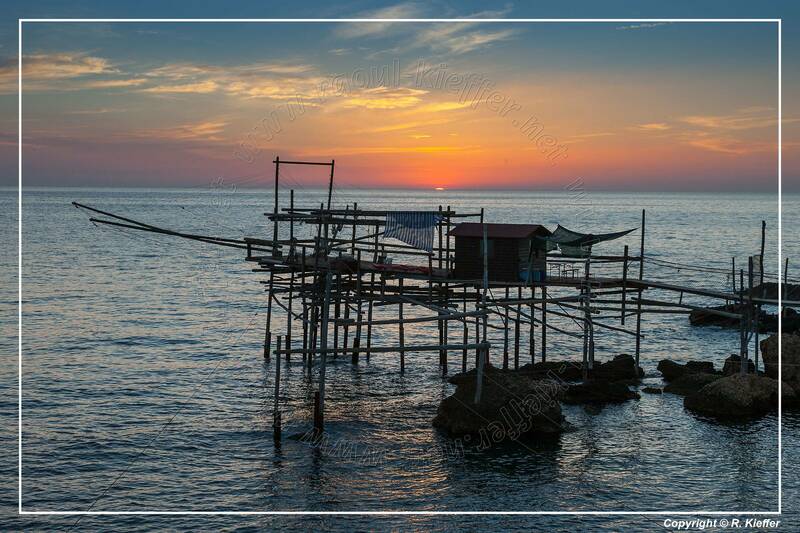 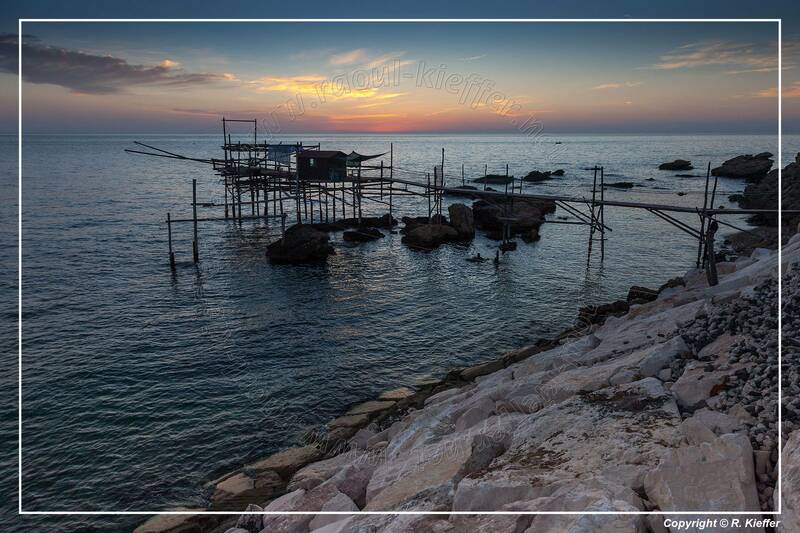 Trabocchi were built in the most prominent promontories jutting nets out to sea through a system of monumental wooden arms: a trabocco allows to fish without having to be submitted to sea conditions using the morphology of Gargano rocky coast. 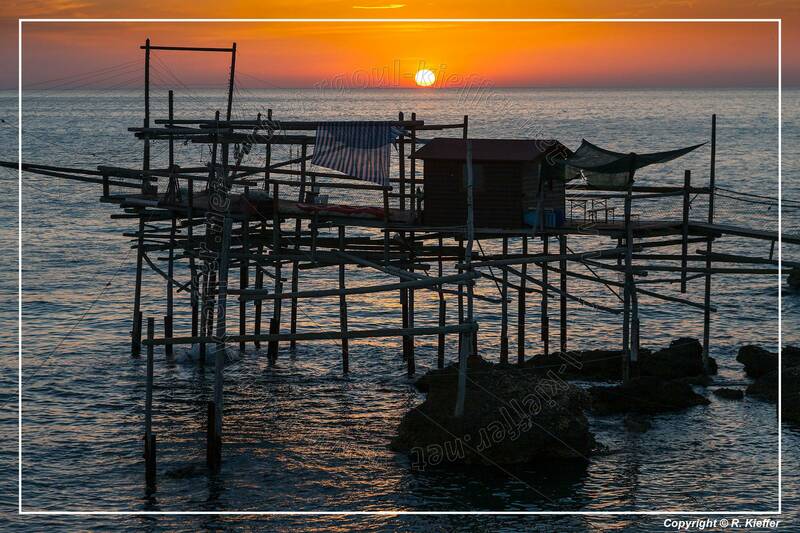 The trabocco is built with traditional wood Aleppo pine (the typical pine of Gargano and common throughout the South-Western Adriatic) because this material is virtually limitless (for his dissemination in the area) elastic, weatherproof and resistant to salt (trabocco must resist to strong Mistral usually blowing in these areas).